A top- and bottom-line earnings beat propelled PVH Corp (NYSE:PVH) shares higher on Thursday, up about 15% on the day. However, shares are fading from the session highs. For now, the stock is clinging to its 200-day moving average, and bulls surely want to see PVH maintain this level going into the weekend. What if it doesn’t? If PVH can’t maintain its post-earnings day range, it could pullback to the $120-ish level. Down near $118 is the 31.8% Fibonacci retracement, which could step in as support. Below that is the 20-day and 50-day moving averages, and while PVH is still technically okay on a pullback that far, bulls will not be feeling good to give up almost all of the stock’s earnings gains. On the upside, over $130 could ignite a continuation trade higher. 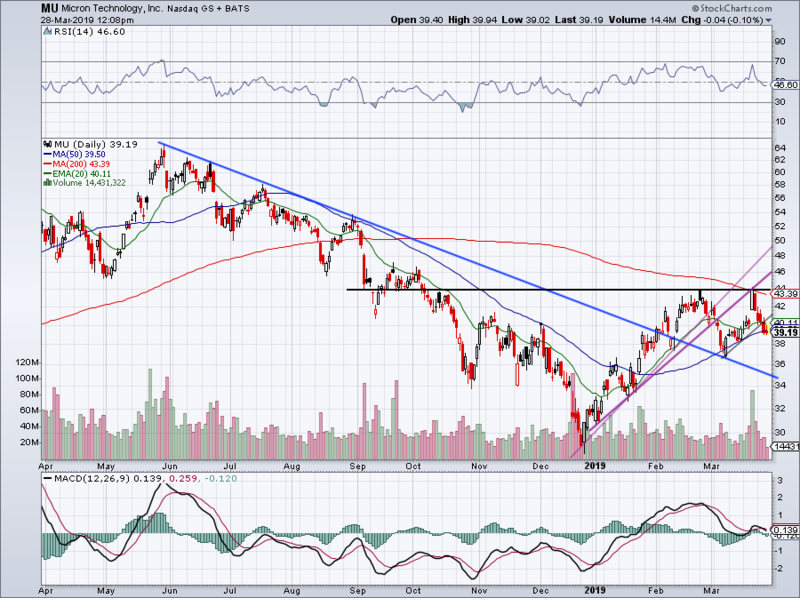 Right now, PVH is trading back into the relatively tight channel extension from January and February. 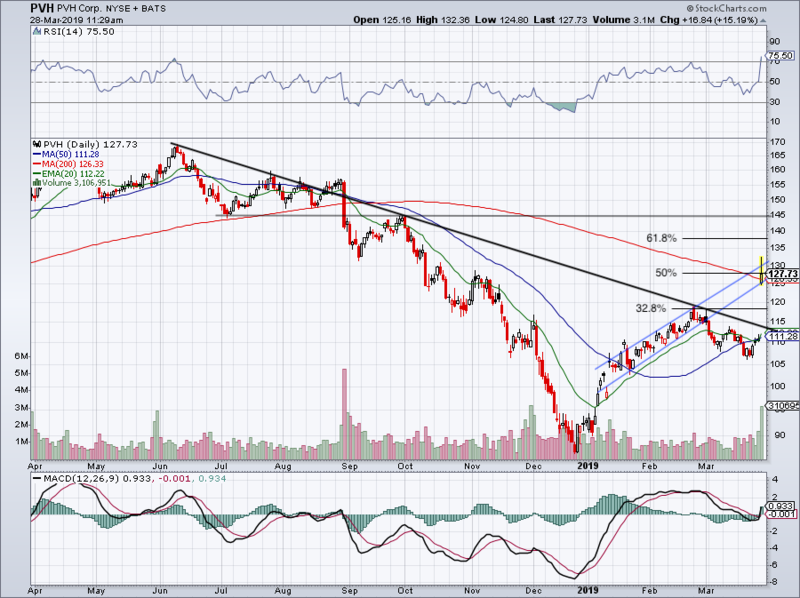 But over $130 puts PVH over the 50% retracement, as well as channel resistance. That could spark a run to $138 and potentially $145. BlackBerry (NYSE:BB) will report earnings on Friday before the open. 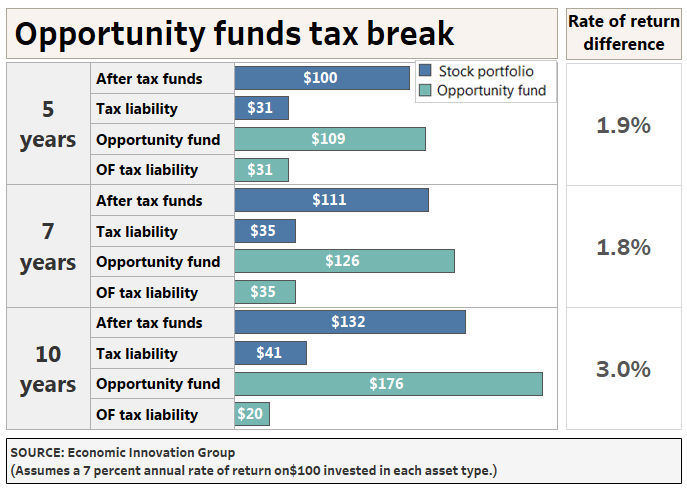 What can investors expect? 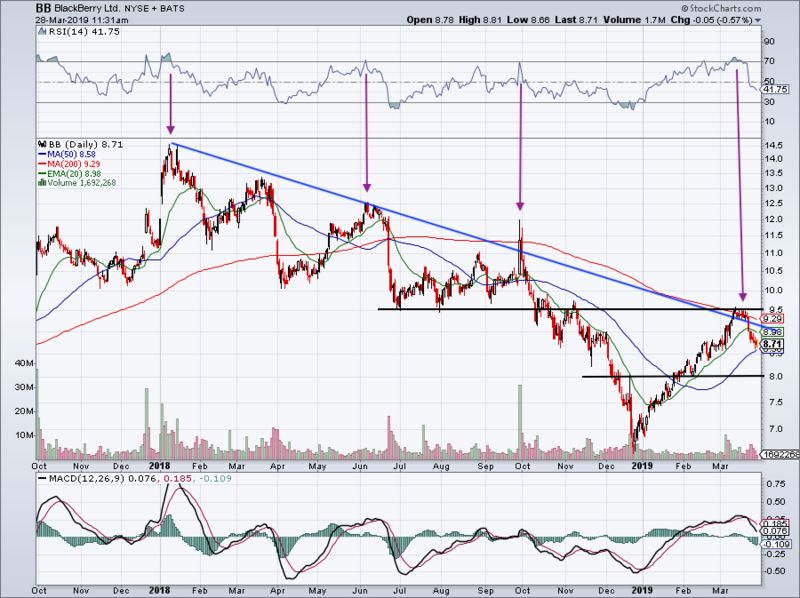 Downtrend resistance (blue line) has kept a lid on BlackBerry for more than a year. For now, BB is clinging to the 50-day, but hasn’t been able to meaningfully climb above the 200-day moving average since last May. Should earnings disappoint investors, the 50-day level will give way and the $8 level will be in focus. That would represent an 8% decline from current levels if it gets there. 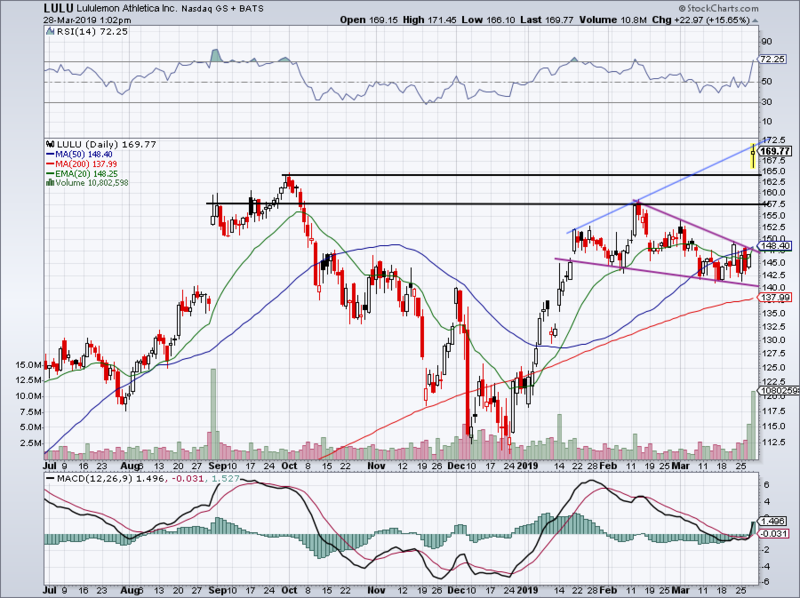 On a rally, it would be encouraging to see BB close north of $9.50. That would require a 9% rally and put $10+ on the table. Worth noting is that the 50% retracement level sits near $9.98. 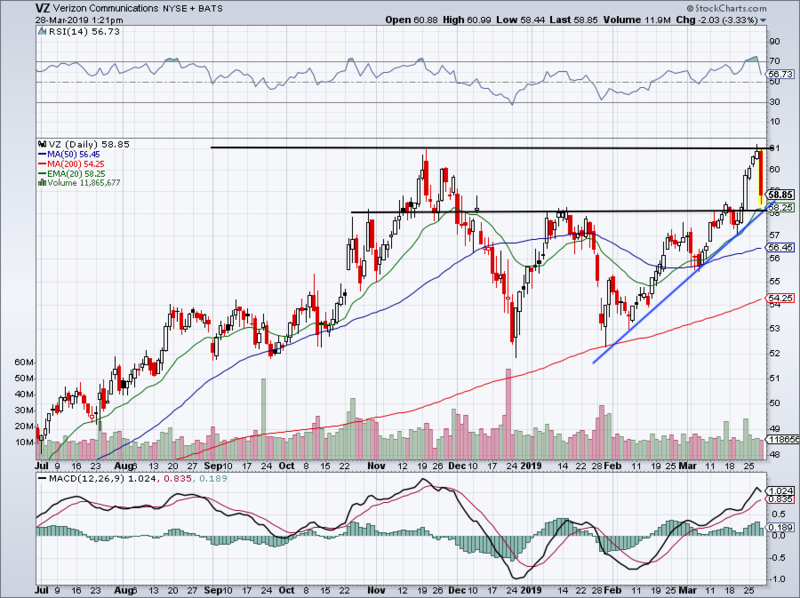 Micron (NASDAQ:MU) isn’t looking great right now. The post-earnings pop last week rallied Micron right to the 200-day moving average, where it promptly failed a day later. Just a few sessions later and Micron is teetering on the 50-day moving average and looking awfully likely to break down further from here. That’s despite strength in the semis, an earnings and revenue beat with reiterated guidance, and even an analyst expressing optimism for the MU in the second half of 2019 on Thursday. If these catalysts can’t keep MU stock up, what can? If MU does indeed break down, the March lows near $36.50 are the first target. Below that, the backside of prior downtrend resistance (blue line) would be the next target. On the upside, we need to see MU above the 50-day. If it can do that, the 200-day is the next test. Lululemon Athletica (NASDAQ:LULU,) jumped more than 15% on Thursday after better-than-expected earnings results. Full-year guidance also impressed the Street, sending shares to new all-time highs. Now what? With a strong report and strong price action to boot, it’s clear that Lululemon’s business and stock price have momentum. Bulls need to see the stock maintain $165+ in order for that momentum to continue. While it wouldn’t be bad to see some sideways price action before a continuation higher, losing the $165 level — the prior highs from October — would certainly be discouraging after such a solid report. If it does, the $157.50 level will be in focus. On the upside, let’s see if LULU can take out its Thursday highs. Short of a market-wide correction or an unforeseen event, LULU stock should continue higher over time. Bulls are definitely in control right now, even if it needs time before pushing meaningfully higher. Shares of Verizon (NYSE:VZ) are down more than 3% on Thursday, as AT&T (NYSE:T), T-Mobile (NYSE:TMUS) and others in the sector come under pressure. Shares failed right at its prior highs near $61 and are now pulling back. Not that VZ is a big mover or a generally a “top trade” candidate, but it could see buyers step in soon. High-yield stocks are in demand and VZ is coming into a key area. Near $58 it has uptrend support (blue line), a key level (black line) and the 20-day moving average. I don’t know if it will get there, but I would love to buy on a test of the 200-day.